This post is my presentation from the Sport Management Association of Australia and New Zealand (SMAANZ) 2013 Conference. The post contains the abstract, presentation video and slides. Hodgetts, D., & Duncan, M. (2013). Examining the influence of the London 2012 Olympic Games on physical activity in Australian Queensland adults. Paper presented at the Sport Management Association of Australia New Zealand Conference, Dunedin, New Zealand. Will the Olympics really inspire more people to play sport? Originally published on The Conversation. Read the original article. Did watching the Olympics inspire you to get out and play sport? Perhaps the gold-medal-winning effort of our men’s K4 kayaking team inspired you to take to the water. Or maybe Anna Meares’ gold in the cycling sprint inspired you to head to your local veldrome. If so, you might have been experiencing the “trickle-down effect”. This phrase has been used for roughly 40 years and refers to an increase in sports participation at a grass-roots level following a major sporting event. It’s a term that existed long before the fancier, all-encompassing term “event legacy” became de rigueur. Even in the 1970s, the first chair of the Australian Insitute of Sport John Bloomfield was suggesting the trickle-down effect doesn’t work, and that physically gifted athletes may actually discourage us average participants. “Olympic sport inspires people to get involved at a grassroots level – driving increased participation in community sport”. Kate Lundy’s comments show a lack of understanding about sports legacy. 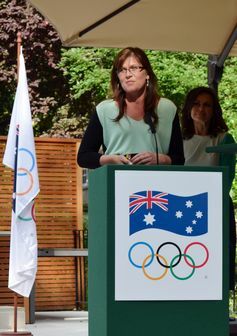 Sure, Professors Tony Veal, Kristine Toohey and Stephen Frawley found some signs of increased grassroots sport participation after the Sydney 2000 Olympics, the 2003 Rugby World Cup and the 2006 Melbourne Commonwealth Games. But, crucially, they couldn’t attribute the participation increases to the events in question. So, if we can’t use major sporting events held in our own backyard to motivate the masses to get moving, what hope do we have when the event’s held in old Blighty? It’s also overly simplistic to consider the Olympics as a mass media campaign for physical activity. There is a whole area of research examining the complex range of variables that are required to convert the viewing of sport into the doing of sport. There are two reasons why I find the term “trickle-down effect” disappointing. First, a trickle is a passive, osmotic process. We need to be active in leveraging sports events, to use them as a catalyst and drive the increase in participation. Second, a trickle is a trifling and unimportant quantity – to justify this expensive inspiration, we need a flood of participation, not an intermittent drip. Some research by British professor of sport in society Mike Weed, suggests elite success in sporting events may have some effect on those already engaged or experienced in sport, but little or no impact on those who rarely or never participate. Sports clubs need to do more to attract would-be members. Sporting bodies leverage this opportunity and encourage interested parties to participate. For many sports this is the only time they feature in mainstream media. National sport organisations need to prepare their clubs to promote themselves locally and make their sport accessible to aspiring Olympians. Sporting organisations need to consider their potential customers. What are the barriers preventing them moving from indirect consumer to a consumer? How can we move light consumers into medium or heavy consumption? The Olympics has provided an awareness of sport but sports now need to promote themselves and their products to prompt us into action. 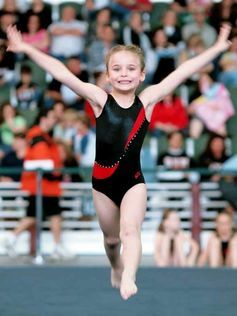 If your child has been running around all week twirling ribbons, and the local gymnastics club offered introductory packages right now, chances are you’d be more likely to sign up. Weed’s work shows that lapsed participants are especially influenced by major events. So now’s a great time for sporting to invite lapsed members to make an Olympics-influenced comeback. For a trickle effect to work, we need sporting organisations at all levels to provide the plumbing that will divert potential participants into the catchment. Danya Hodgetts does not work for, consult to, own shares in or receive funding from any company or organisation that would benefit from this article, and has no relevant affiliations. Posted on 17 August, 2012 25 October, 2014 Categories Media commentaryTags London 2012, Olympic Games, Olympics, sport participation, the Olympics, trickle downLeave a comment on Will the Olympics really inspire more people to play sport?